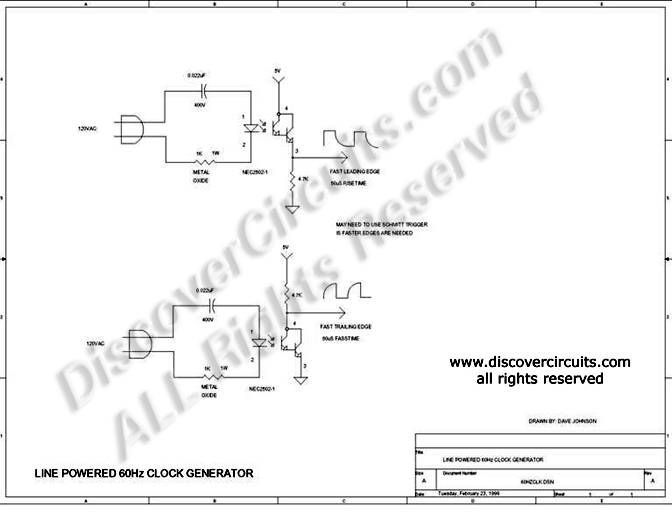 Circuit: LINE POWERED 60Hz CLOCK GENERATOR __ Circuit designed by David A. Johnson, P.E. This circuit is connected to the 120vac power line and transfers 60Hz clock pulses to a logic circuit. The optoisolator used provides 5000 volts of isolation between the power line and the logic side of the circuit.